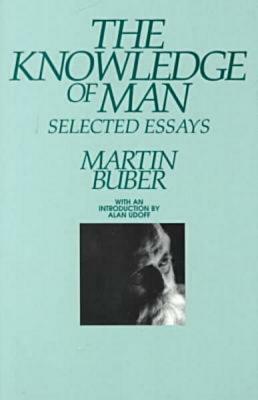 These six essays present one of the most significant stages in the development of Buber's philosophical thought and particularly his philosophical anthropology. This edition includes an appendix consisting of an interesting dialogue between Buber and psychologist Carl R. Rogers. Martin Buber (1878 - 1965) was born in Vienna, Austria, but spent much of his childhood with his grandparents in Lvov (now Lviv, Ukraine). His grandfather was a renowned scholar of Jewish literature, who edited the first critical edition of the Midrashim, traditional biblical commentaries. When Buber came of age, he studied in Vienna, Leipzig, Berlin, and Zurich. From 1924 to 1933, he lectured on Jewish religious philosophy at the University of Frankfurt. During that time, he worked together with Franz Rosenzweig on a new German translation of the Hebrew Bible. When Hitler came to power, Buber was eventually forced to leave Germany in 1938. Though he traveled widely, he spent most of the rest of his life in Israel as a lecturer at the Hebrew University in Jerusalem. He had a great interest in and wrote many works on Hasidism, but he is best known for his 1923 book, Ich und Du (I and Thou). This influential work contrasts the personal and subjective “I-Thou” relationship, which participates in the dynamic, living process of an “other,” with an impersonal and objective “I-It” relationship, which experiences a detached thing, fixed in space and time. Buber expressed an early interest in Zionism, but more for religious and cultural reasons than for political motives. From the beginning of his Zionist activities he advocated for Jewish-Arab unity. He helped form the League for Jewish-Arab Rapprochement and Cooperation. In 1942, the League created a political platform that was used as the basis for the political party the Ichud (or Ihud, that is, Union). For his work for Jewish-Arab parity Dag Hammarskjöld (then Secretary-General of the United Nations) nominated him for the Nobel Peace Prize in 1959. When Buber died in 1965, his funeral in Jerusalem was a high state function attended by many dignitaries. Among them was a delegation of the Arab Students’ Organization, who placed a wreath on his grave in recognition of his efforts to create peace between Jews and Arabs in Israel.